Liverpool won the first leg of their UEFA Champions League quarterfinal tie against Porto 2-0 thanks to first-half goals from Naby Keita and Roberto Firmino. 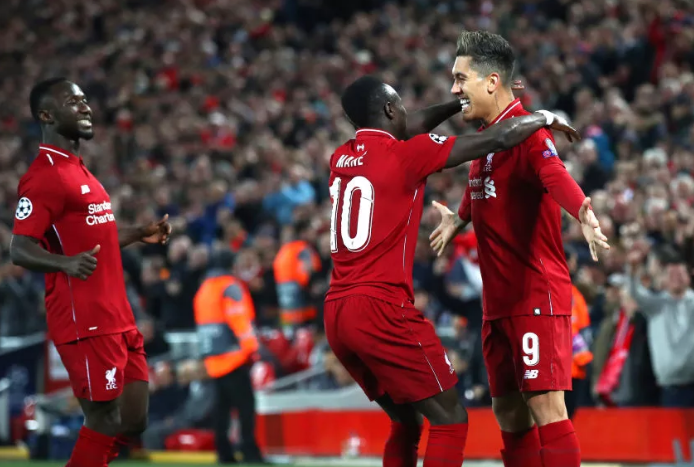 Here are the five major talking points from the match at Anfield after the Reds get to take a healthy lead into the second leg in Portugal.Liverpool’s midfield has come under a lot of criticism this season for varied reasons but against Porto, the midfield won the game for the home side. Naby Keita, who scored his first goal for the Reds in the previous game against Southampton, doubled his tally against Porto by scoring the first goal of the night albeit with a heavy deflection. The two goals seem to have given the Guinean a massive confidence boost as he pressed the Porto players relentlessly, drove at the opposition defence and showed nimble footwork on multiple occasions. The skipper, Jordan Henderson, played in a more advanced midfield role as Fabinho sat back to protect the backline and thrived in the role. He opened up play with a few exquisite through balls and it was one such through ball to Trent Alexander-Arnold which led to Roberto Firmino’s second goal. Henderson should have had an assist shortly after but Firmino fired wide. Fabinho complimented his midfield partners with a near perfect display. He won aerial battles in midfield, put in some crunching tackles and when Porto sat back in the second half, he did brilliantly to prevent the Portuguese side from hitting Liverpool on the counter. All three midfielders who started the game were so impressive that Klopp decided to leave Gini Wijnaldum on the bench. That being said, the pick of the three midfielders was easily the often maligned Jordan Henderson.